It’s been another exciting year for the Better Life Coaching Blog, with traffic and subscriber numbers continuing to increase from month to month. This blog has been going for almost three years now and has over 700 posts published, with a new post being added every weeknight (Australian time). I was watching an episode of the West Wing last week and this story was shared with President Bartlet when he had a difficult choice to make and didn’t know what to do. There was a man who lived in a house next to a river. After a heavy storm, the water rose and an announcement came over the radio urging locals to leave their houses before their homes were flooded. The water rose higher, and the man was forced to move into the second story of his house. A guy in a row boat came along and called for the man to hurry and get into the boat. A reed warbler works hard to create a complex nest set within the reeds of its habitat and proceeds to lay its eggs, only for the parasitic and nefarious cuckoo to come along and lay a much larger egg in the nest. The egg of the cuckoo hatches sooner than the warbler’s eggs and the young chick pushes the warbler’s eggs out of the nest. It then starts to squawk. The poor, oblivious mum and dad reed warbler respond to the cuckoo chick’s squawks and start to feed him. He keeps squawking and the warblers keep feeding him. Soon, he’s bigger than his adopted parents. But they keep feeding him until he’s big enough to fly away and live independently, leaving the poor warblers to look at each other and wonder what happened. Earl Manigault was a street basketballer from the 1950’s and 60’s who was given the nickname “the Goat.” The Goat stands for “Greatest of All-Time” and is a description of his extraordinary talents. The ability to touch the top of a basketball backboard to remove dollar bills with his 52 inch vertical leap. The ability to “double-dunk,” meaning that he could dunk a ball, catch it with his left hand, switch it to his right and dunk it again in the same jump, all without hanging on the rim. Two wise men, Melchior and Balthazar were about to leave for a long trip to Bethlehem (something about following a big star to the birthplace of the son of God). As it was going to be such a long trip, they decided to add a third wise man to their group. After all, the extra camel could be handy for carrying their supplies. There were two candidates, Caspar and Nino. They were equally matched in every way, so Melchior and Balthazar came up with a test to see which one was the wisest. 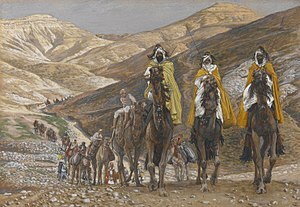 Caspar and Nino were to travel down a remote road and when they came to a fork in the way, the one who chose the best road would win the contest and become the third wise man. Caspar and Nino saddled up their camels and started on their journey. When they got to the fork in the road, they stopped for a moment. Nino sat down to consider his options, carefully analysing the pros and cons of each path, while Caspar decided to go down the road that veered to the left. I love Christmas and always appreciate receiving cards and letters at this time of the year that contain updates from friends and family regarding the year that’s just passed. 2012 has been another big year in our household, so here’s our own family update. I suspect that in an era of such constant and prolific change, he’s right. I’ve come across a lot of people over the years who can read and write perfectly well and have other skills that 20 years ago were in demand, but because of their inability to adapt to new technologies or maintain an open mind about change and a negative and dour attitude about the future have virtually rendered themselves unemployable and irrelevant. How Can You Hear a Moth’s Wings Flapping? I was watching David Attenborough’s Life of Mammals with my oldest son Hayden over the weekend. This particular episode showed some amazing footage of bats catching moths. First, we saw bats using sonar to catch their prey. 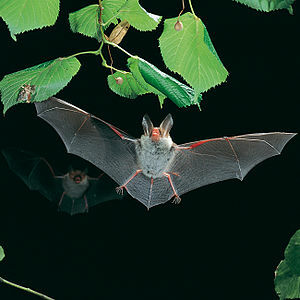 Then Attenborough showed moths who had the ability to detect the bats’ sonar and could avoid capture. Then there was a species of bat that didn’t rely on sonar. They had the extraordinary ability to hear when a moth moves its wings. Even in an environment where there was the sound of rivers running and wind moving through the trees, they could detect even the smallest movement.